With only 27 days until the primary election, and not receiving a sample midterm ballot in the mail, i gave our local office a call. I requested the election supervisor send me one. After being put on hold i was asked my name and phone number. 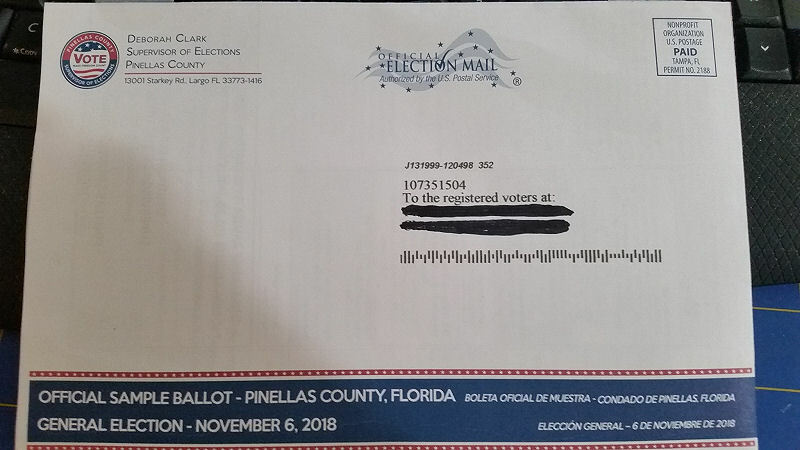 It was confirmed I was not sent a general midterm sample ballot. The friendly person i spoke with asked if someone could call me back. They were trying to find a way to send me a sample midterm ballot. I received a phone call back rather quickly. The person said it was not possible to mail me a ballot, but i could pick one up at the local supervisor of elections office. A friend had also mentioned not receiving a sample midterm ballot in the mail earlier. We both had received a sample primary midterm ballot before. After asking if my sample midterm ballot had been lost in the mail the person stated, Debora Clark did not mail midterm sample ballots out this year. Instead they inserted sample midterm ballots in the newspaper. I was shocked to say the least. Responding with ‘who reads a newspaper these days’ the person chuckled hearing my response. 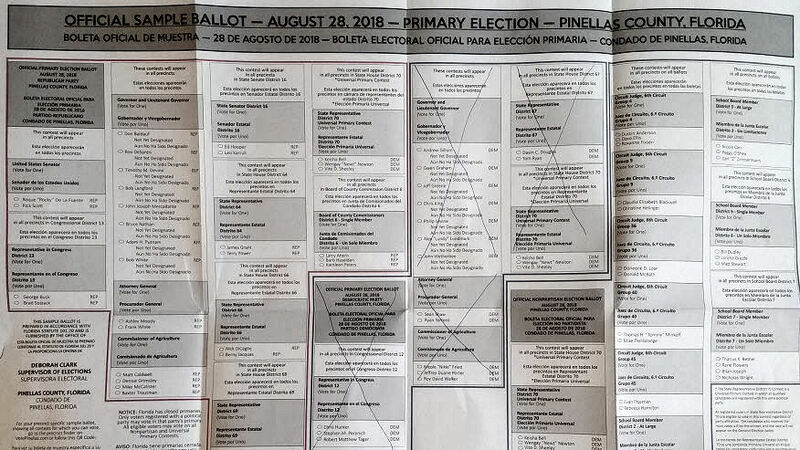 So if anyone in Pinellas County wants a sample midterm ballot they are available at any election office. 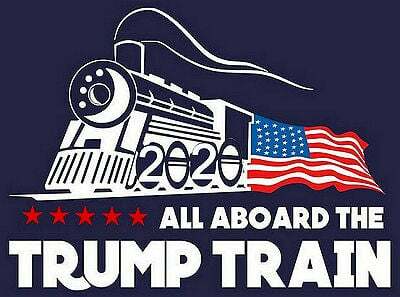 The candidates are also listed here on votepinellas.com website. You’d think Deborah Clark would have a scanned pdf document available for download, that can be opened by smartphone or web-browser. Using 90’s style text based individual web pages that a voter looking for info must navigate through don’t make sense today.